Ever since Blake Lively appeared on our TV screens way back in 2007, starring in the hit show Gossip Girl, we’ve become accustomed to the actress covering just about every major fashion magazine while rarely taking a bad photograph. 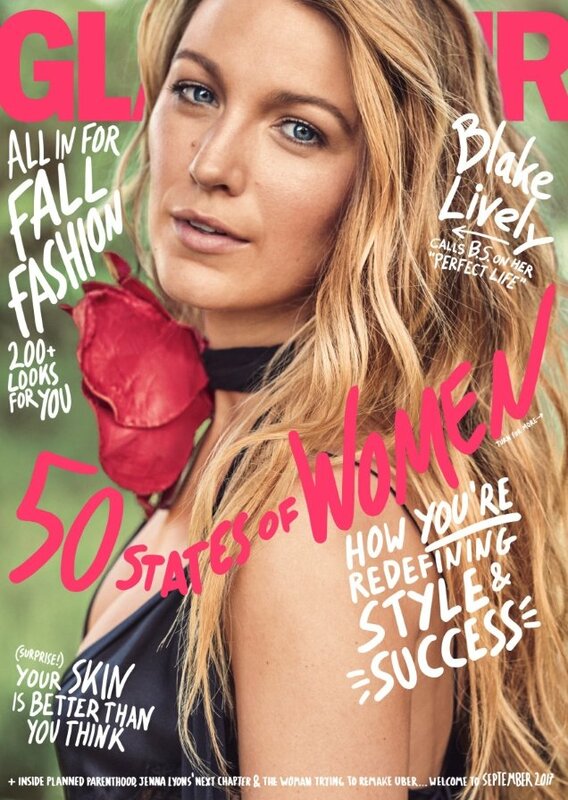 She’s landed issues of Vogue, Allure, Marie Claire and now, after a little over a year’s hiatus at the newsstand, Blake is back on the circuit, gracing the cover of US Glamour‘s September issue. Photographed by Nathaniel Goldberg, the blonde beauty wears Saint Laurent, making for a stark contrast between last month’s edgy and unconventional Cara Delevingne cover shoot. Our forums complained that Glamour went a little too hard on the Photoshop this month, though. “She looks airbrushed to death in order to look like a young Leonardo DiCaprio in drag. What’s happening here?” quizzed a startled mistress_f upon checking out the cover. “The Photoshop is crazy! So are the fonts,” wrote Urban Stylin. “She literally looks like she just woke up a second ago from a sick day nap and they tried to Photoshop her to look better. So bad,” described t-rex. “Awful! I love her but this is so weird…” commented forum member Millie Backer. “Not the best shot of Blake, who is so gorgeous! Glamour has been hot and cold all year with their cover photos. Love all the cover subjects, but cover wise they have been not killing it! I think the cropping throws me off,” expressed RanThe. Also unafraid to call Glamour out on its mishap was Benn98. “Last time I checked Glamour was a magazine for grown women, so why does the art direction look like something which belongs on Seventeen? Don’t get it at all,” he stated. See more from Blake’s cover story and what else the issue has to offer here.